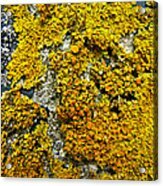 I've taken this description from the most marvelous site on lichens that I've ever seen. 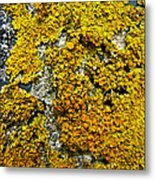 Finding an identification on a lichen is troublesome, but this site is extremely helpful. 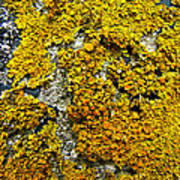 http://www.lichen.com/index.html "Lichens are composite, symbiotic organisms made up from members of as many as three kingdoms. The dominant partner is a fungus. Fungi are incapable of making their own food. They usually provide for themselves as parasites or decomposers. "Lichens are fungi that have discovered agriculture"-- lichenologist Trevor Goward. 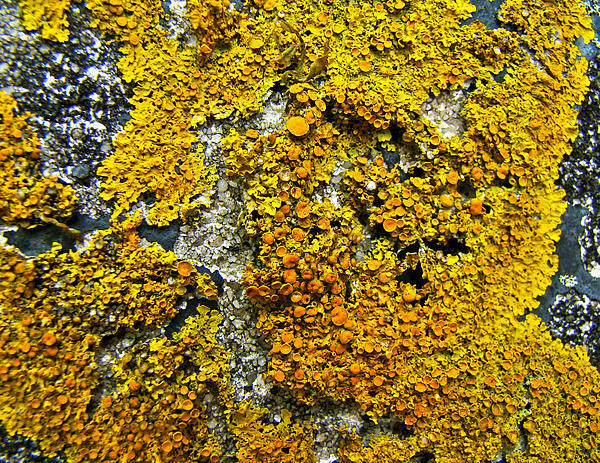 The lichen fungi (kingdom Fungi) cultivate partners that manufacture food by photosynthesis. Sometimes the partners are algae (kingdom Protista), other times cyanobacteria (kingdom Monera), formerly called blue-green algae. Some enterprising fungi exploit both at once." The picture was taken May 20, 2011, at Quissett, Falmouth, Cape Cod, MA.